In this episode, I’ll be chatting about how digital nomading has completely changed the way I do things. I used to be afraid of a large variety of things, which led me to have a tiny comfort zone with very little space for risks and challenges. However, leaving the 9-5 routine for a more suited location independent lifestyle, has led me to expand my comfort zone to a point where its limits have become blurry. “There are very few things it doesn’t encompass”. Comfort zones become really apparent when we live lives of quiet and solitude, not trying anything new, and getting stuck in a box of our own making. That box becomes smaller and smaller as we grow older, so that we become more and more suffocated. Eventually, that box chokes us out and kills our soul. Are you in a similar situation at all? Stop doing this to yourself. Try something new that you’ve never tried before, something that would completely stretch you and make you a new and bright person from the inside out. I want to share with you, how I made a habit of doing something interesting and new every now and then. Hopefully, my experience will inspire you to do something weird once in a while to test your boundaries! Do you know where your comfort zone lies right now? Is it always changing? Share your experience with us! Check out my YouTube Channel for more gems of wisdom! 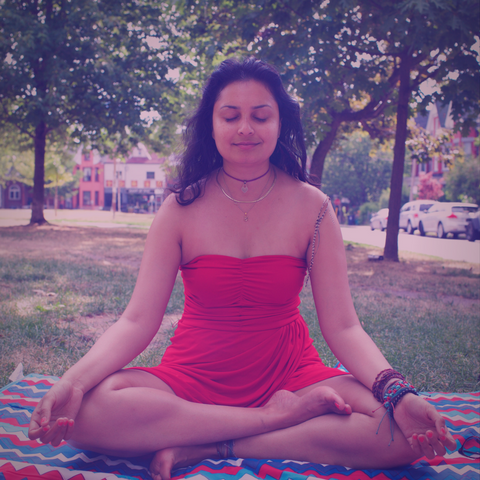 [Ep 1] Meditation for Beginners – How I Started And How You Can Too!